Students were asked to answer the question "What is innovation?" Some students philosophized, some looked for examples, and others built innovations. SDG 14 Innovation "Make- a Thon"
12th grade students in government class chose SDG 14 Life Under Water as their favorite goal. They worked with materials in a mobile makerspace including little bits to quickly innovate a solution to SDG 14. studnets grouped up and addressed the issues that were most important to them. I am a teacher of Seniors (12th grade) in a diverse community in Virginia, close to Washington DC. 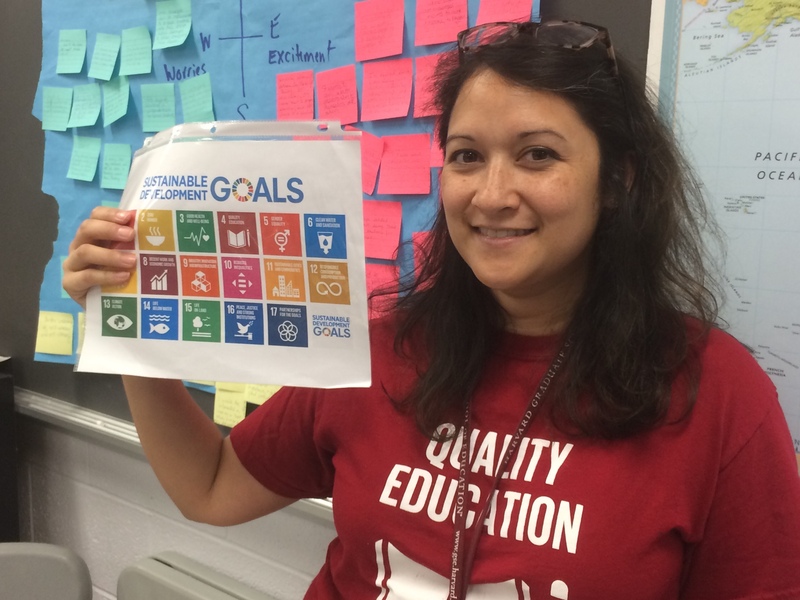 As a TeachSDG Ambassador, I lead a Global Education PLC at my school (Global Education Think Tank @ Dominion High School) to help support teachers across the curriculum to teach the global goals. I also direct a leadership program for girls interested in global careers, Girls on the Map. and I am coordinating our district's performance assessments for grades 9-12.